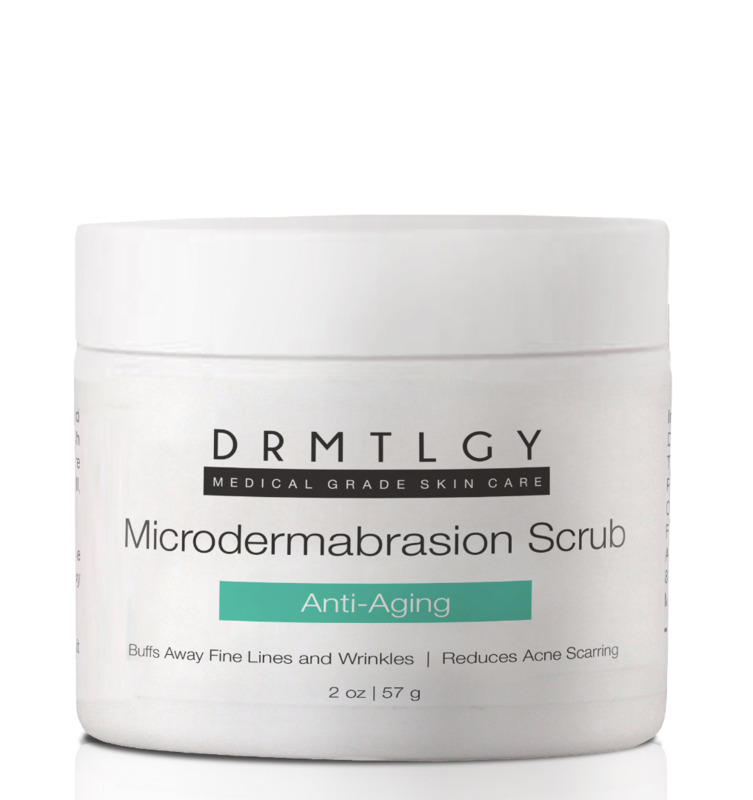 Our Microdermabrasion Scrub has been gaining a lot of popularity lately and for a good reason! It's one of the few face scrubs that is gentle enough for common use and still delivers amazing results. While most face scrubs, and some body scrub/face scrub hybrids contain larger granules, such as salt, to exfoliate the skin, ours uses a very fine pumice granule. Well, why does this matter? Imagine taking gravel and scraping it across your skin - get the mental image? Yes, it's not good for your skin. Our Microdermabrasion Scrub contains alpha hydroxy acids (AHAs), which most traditional face scrubs don't contain. These safely and gently whisk away dead skin cells and debris, leaving long-term benefits for skin. We also feature glycolic acid (sugar cane), apple fruit extract, lemon fruit extract, and green tea leaf extract. It is paraben free, sulfate free, cruelty free, gluten free, and made in the USA. Traditional scrubs are actually doing harm to your skin. Popular scrubs, like apricot scrubs, can actually do more damage and harm than good. Yes, the smell good and they're generally inexpensive, but they can cause enlarged pores, redness, and cause micro-tears on your skin. "In the past I have been one to believe the more the expensive the product the better the quality well I can honestly say in this case I am 100% wrong. The Microdermabrasion Scrub has to be the most incredible facial scrub I have ever used. It not only works as a scrub but it also forms itself into a mask with an amazing smell and no mess!!! You can feel it working almost immediately with the tingle that makes it feel like your skin is waking up as if you just had a professional facial. I have noticed a dramatic difference in my skin with just 2 weeks using it twice a week. My skin appears toner, the little fine lines that have appeared around my lips are smoother, and the over all look of my skin just looks smoother and at 41 years old I will take it! A little goes a long way and into todays economy that is always a plus!! Bottom line if you are looking for a scrub that does what it says it does and don't want to break the bank doing it then this is a must product!!!"